Explanation: In this 1994 Hubble Space Telescope photograph, every bright object is a galaxy. 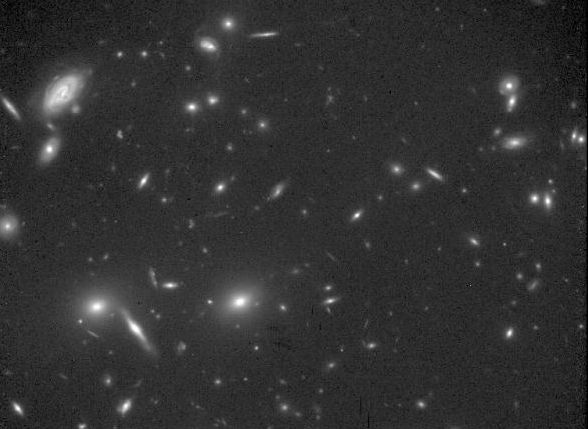 Oddly - most of them are spiral galaxies. This rich cluster of galaxies, named CL 0939+4713, is almost half way across the visible universe. 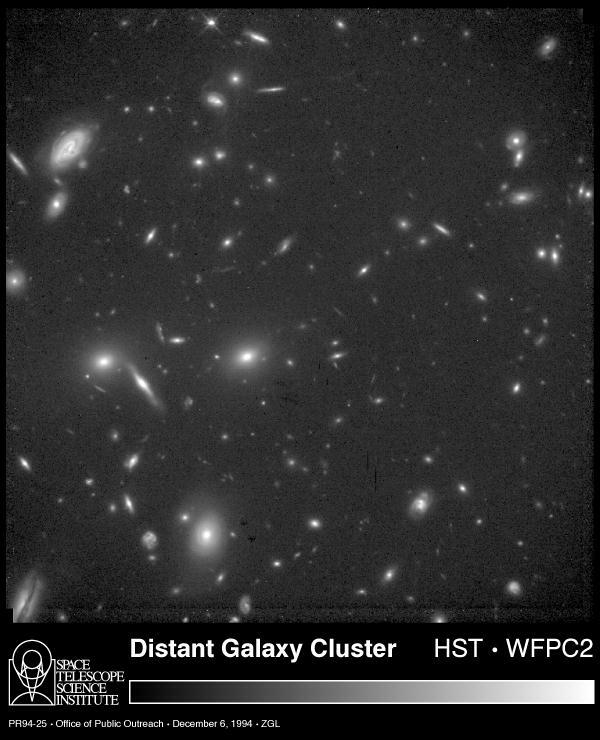 Photos like this indicate that clusters in the past contained a higher fraction of spirals than do nearby clusters which are usually dominated by elliptical galaxies.